Tesla is raising the costs of its Superchargers around the world, according to a report from Electrek. The automaker is removing the free Supercharger credit Tesla buying incentive, and it looks like alongside this shift, the price of charging is also going up. In Canada Tesla drivers who Supercharge get billed per minute, with the price shifting depending on the charging tier they’re using. Tier one chargers cost $0.25 per minute and tier two chargers are priced at $0.50 a minute, according to Tesla’s website. That said, a Tesla driver from Ontario has posted on the Model 3 Owners Club that it costs $0.20 for charging below 60 kWh (tier one) and $0.40 per minute to charge at a rate above 60 kWh (tier two). There’s no mention on the forums or the manufacturer’s website regarding Tesla’s charging prices going up in Canada. Electrek is reporting that the prices are jumping an average of 33 percent, so drivers should expect an increase in that range. Both Electrek and the Canadian Tesla owner suggest that Supercharging costs will increase by different amounts based on local demand, but Tesla’s website has no mention of this. All in, it looks like Tesla is trying to figure out a new way to bring in additional more revenue as the company works to bring down the cost of the Model 3 car. MobileSyrup has reached out to Tesla to get more clarity regarding the issue. This story will be updated with additional information as it becomes available. 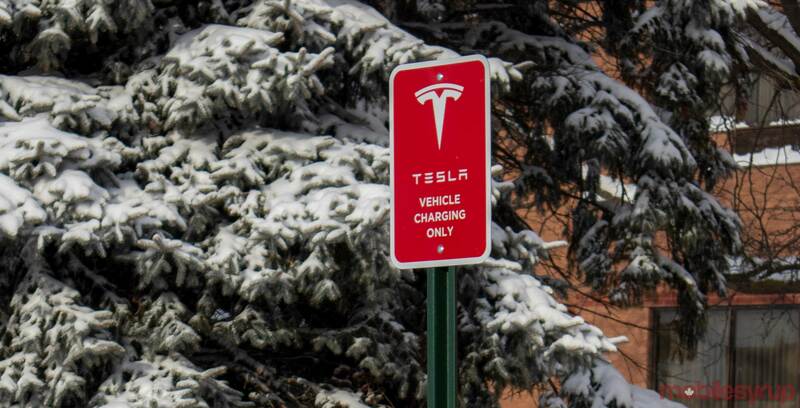 Update 22/01/2019: Tesla has lowered the cost of using a Supercharger by about 10 percent around the world in wake of the backlash surrounding the charging increase.